Note: I feel that I should point out that we were only in Sierra Leone for 9 days, and spent all of our time on the Freetown peninsula. Naturally, I could never claim to be an expert on the place after such a brief and limited visit. But I hope that my impressions might count for something, especially for anyone who’s never had the chance to visit. We arrived at about 4am on a Royal Air Maroc flight from Casablanca that stopped in Monrovia, Liberia, on the way. Royal Air Maroc was fine, far better than I imagined it would be based on people’s internet reviews. I can only imagine it has improved greatly in recent months, or else people who write internet reviews expect a homogenous travel experience wherever they go in the world. Lungi airport, as I mentioned, can be quite a daunting experience. Our friend met us at the Pelican water taxi dock (Lungi is on the ‘wrong’ side of a large inlet, so to reach Freetown, a water crossing by boat or helicopter is essential), and drove us to his house, located in the hills above the city. After a few hours catch-up sleep, we had lunch (rotisserie chicken from the Lebanese-owned St Mary’s supermarket), drove around a bit and then headed to Roy’s bar on Lumley Beach for some drinks. We met plenty of people at Roy’s, organised dinner, went to a party at the UN, and before I knew it, we were dancing to a mixture of local and Lebanese pop at Atlantic nightclub, with the sound of waves breaking on the beach in the background. After breakfast at Bliss bakery (the best bakery in town, and producers of as good an omelette as you’ll find anywhere), we went on one of our two main trips out of the city. 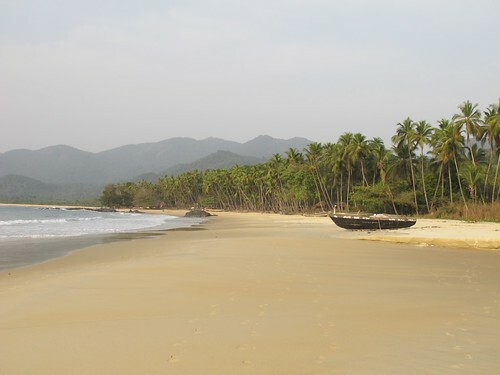 Bureh beach, an hour or so out of town via the mountain road, is simply an idyllic spot. Kilometres of sand so fine, it squeaks with every footstep, lined with coconut palms, and without a single built structure in sight. I often say I don’t really like the beach. But if it’s Bureh, I’d go any time. There, we met Michael, a local entrepreneur trying to develop some sustainable tourism in the area. He set us up with an open hut and a camp fire, cooked us some fresh lobster and manfully shared a glass or two of scotch as night set in. Before the scotch, we had a night swim and enjoyed the ever-captivating sight of phosphorescent plankton sparkling in the water as we swam. Bureh, simply enough, is one of the most beautiful places I’ve ever been. I think Gemma enjoyed celebrating her birthday there. I just hope we can visit again soon, and that as development increases (which it must, one way or another), Bureh’s natural beauty isn’t blighted by massive resorts. Of course, there is room (and indeed, a need) for some of that kind of tourism in Sierra Leone but one would hope that the lessons of other countries’ experiences might make the SL government more cautious than they were. We took the coastal route back to Freetown and relaxed at home that evening, playing Pass the Pigs, Settlers of Catan and Trivial Pursuit. Wild times. 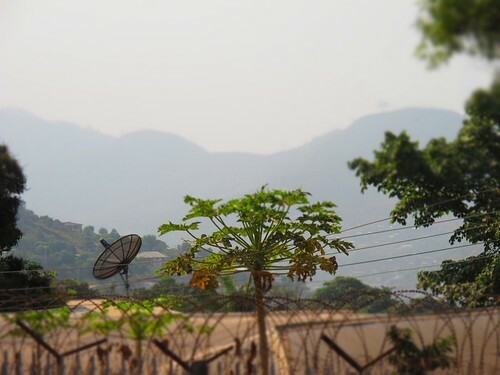 Next day, after a slow start, catching up on developments in the Middle East on Al Jazeera, Gemma and I ventured forth into Freetown on our own for the first time. Walking from our friend’s house down Spur Road to Lumley and up Lumley Beach to Roy’s bar again. Well, we were thirsty by then. The walk only took an hour but it was pretty hot and dusty. Pretty much every taxi and poda poda (shared minibus taxi) that went past beeped its horn at us, seemingly incredulous that we’d want to walk in the sun. Many of the main roads in Freetown are currently undergoing major widening work, resulting in much demolition. Walls throughout the city are marked with indications like “10m back”, meaning that the road will expand 10m further, often through the middle of a house or compound. We were told that several people have died trying to salvage property from demolished houses. It is not just private residences that are affected, though. Even the headquarters of the armed forces (RSLAF) has had its entrance partially demolished. Government officials plan to have the road-widening project complete in time for this year’s independence celebrations which will mark 50 years since the end of British colonial rule. Locals seem uncertain as to whether the project will be completed on time, even though crews are often working through the night. The most important target is to get work completed before the rainy season starts (which more-or-less coincides with the independence celebrations in April anyhow). We were told that negotiations are still taking place over some stretches of road, but I got the impression that the bulldozers won’t wait. Lumley beach is yet another beautiful stretch of sand which extends north to the cape, where several hotels, casinos and nightclubs are located. The beach used to have lots of bars and restaurants on it, but many were demolished as part of the roads project. A few have sprung up again recently, and the one seemingly en vogue at the moment is Roy’s. A cold Heineken (the local beer, Star, isn’t great) and a cooling sea breeze went down a treat after our walk. Next part: Wilberforce and Tacugama. Flickr set here. Despite its stunning natural beauty, Sierra Leone doesn’t seem to strike people as the perfect holiday destination. Mention the West African state’s name to anyone here at home (and we did, ad nauseam, until we left), and they’ll generally respond with vague knowledge of war, bloodshed, diamonds, cocaine and guns. This is understandable because Sierra Leone isn’t generally mentioned in the media in Europe except in those terms. Films like Blood Diamond and Lord Of War, the only recent Hollywood depictions of the country, help to promote this view. But that was then. The civil war officially ended 9 years ago and ever since, Sierra Leone has been putting itself back together. But at the same time, people are sort-of right: Sierra Leone is not a perfect holiday destination. We were lucky enough to be visiting a friend who works for a foreign agency in the country. Pretty much all the non-local people we met work in similar jobs, for various NGOs or for the UN. The rest were visiting friends who worked there, or were returning for a holiday having already spent time working for an aid agency. As I understand it, very few ‘complete’ tourists (that is, people with no-one to show them around/provide accommodation) ever seem to make the journey. And to be honest, I struggle to recommend such a visit at the moment, unless it’s done through the TribeWanted eco tourism project. Sierra Leone, you see, doesn’t just lack tourist infrastructure. It lacks infrastructure. There are relatively few major metalled roads in the capital, Freetown, and only a handful outside, making travel in 4×4 practically essential. Lungi airport, the only realistic way of arriving in the country, is the most basic international airport I’ve ever used (it apparently has no computers, so check in when you leave is an entirely manual pen and paper task). There are relatively few shops, so visitors and ex-pats tend to rely on a handful of expensive supermarkets and the market area in town, where availability of goods can never be guaranteed. There are hotels, but some of them are, according to what I’ve been told, pretty dodgy. All that said, Sierra Leone is a beautiful, enchanting and wonderful country. 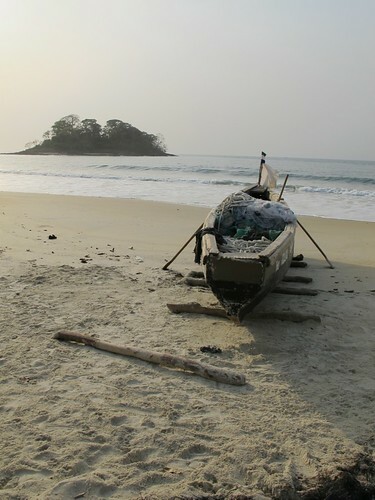 The beaches and forests of the Freetown peninsula are about as gorgeous as you’ll find anywhere in the world. 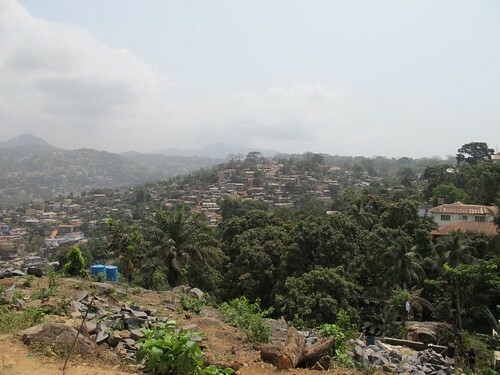 Freetown itself, for all the dust, is a great city: full of movement, work, fun and music. The Sierra Leonean people we met were quietly confident about the future of their wonderful country and far more open to talking about local issues and their aspirations than people in many other countries I’ve visited. 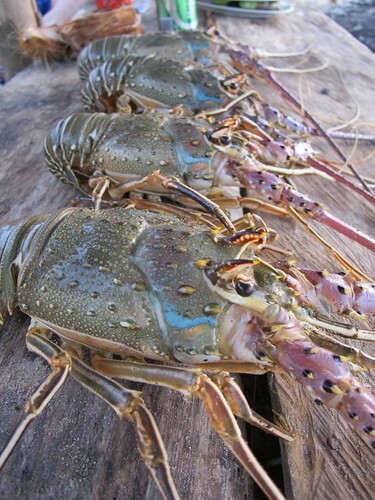 The restaurant business seems to be picking up, and while I need to return to try more of the local food, visitors can eat well in plenty of locations in Freetown. Next part: Bureh & Lumley. You can see our Flickr set of our visit here.